Okay, i’ve been wanting to write a Banff blog since I returned from Canada but ended up getting super swamped. So I am very overdue and very excited to share my trip with you all! Hope everyone had a wonderful holiday and happy New Year. 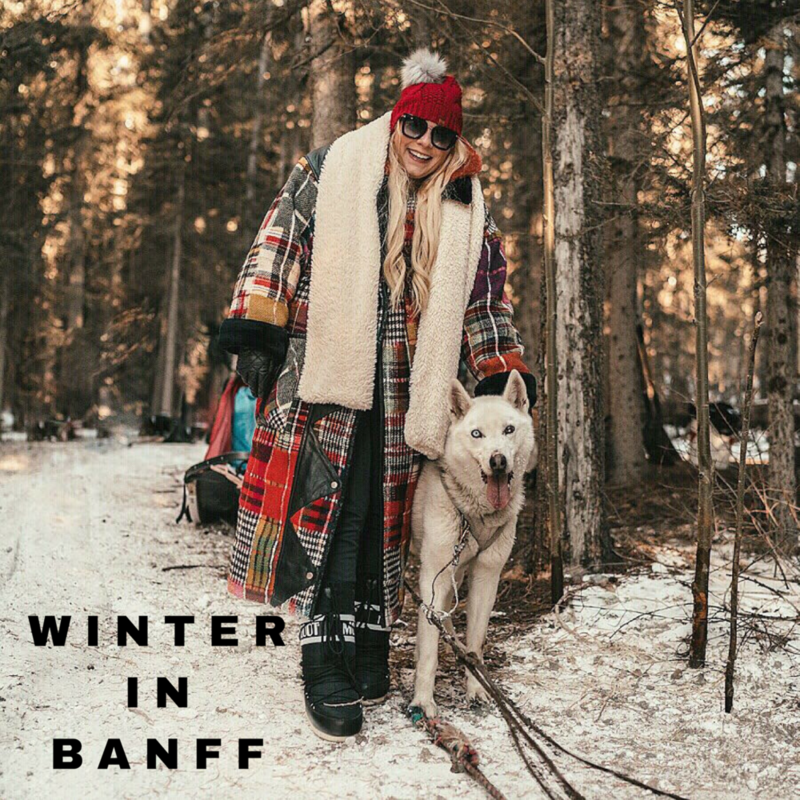 Okay, now lets dive into all things winter and all things Banff…..
Banff was a spot we have wanted to visit for a while now. I know this town has been such an Instagram “hot spot” recently and we were just dying to go. We decided to go during winter because we wanted to enjoy all things cold considering Hawaii doesn’t get that cold for Christmas lol. I knew I wanted somewhere super cozy and charming to stay especially since we would be here during Christmas and I came across Storm Mountain Lodge. I originally wanted to stay in the infamous castle but knew I didn’t want to be around so many people and tourists and wanted it to feel more intimate and authentic. These cabins were inside Banff National Park and were super charming! There’s not much around and not any service but it was very cozy and perfect for what we wanted. They have lodge area with a restaurant, which we ate at one night, but I felt like it was a little overpriced. The food was good but not something i’d eat every night while staying here. We quickly realized stocking up on snacks and hitting up Subway in town was our best bet. We decided on a handful of activities including skiing, dog sledding, ice skating, and snowshoeing. We went skiing at Mount Norquay. I took a private ski lesson and my husband went snowboarding and we had a great time! Dog sledding was something that was on my must-do while in Banff. We researched and went with a company called Mad Dogs and Englishmen. I was actually really nervous because I didn’t know how fast we would be going or how it would feel and when we arrived the dogs sounded as if they were crying. Come to find out they were crying because they were dying to get out on the ice and snow and run. These dogs were treated with so much love and affection and these animals truly loved pulling sleds and running. They were so free and happy. Honestly, this was one of the most beautiful experience i’ve ever had (minus seeing the dogs poop while running haha). We did snowshoeing at the our cabin. Storm Mountain has snow shoes for rent and there’s a loop you can do. I will say the loop was super long and I got scared that we were lost and I was so tired by the end of it. Not my finest moments in the snow. As far as ice skating, we did the famous Lake Louise skating. The view were spectacular but the ice was definitely rough and hard to skate on. They had an ice castle, people playing hockey, and an outside bar. It was quite amazing to see such a large lake frozen over. We ate so much food and loved every bit of it. On Christmas we ate at a delicious restaurant called, Chuck’s Steakhouse. The classic beef bourginon was to die for! We also loved this mexican restaurant in town too. We loved it so much we went back 2 times. The place is called Magpie and Stump and get the veggie tacos! We also loved a pub called St. James Gate Irish Pub and we finished most nights off with fudge from The Fudgery. For us, we wanted a romantic getaway with a few fun activities and Banff absolutely delivered this. We indulged and enjoyed lots of baileys and coffee and lots of canadian accents. It’s so crazy how different it looks in photos during spring and summer and hope to experience out during that time as well. Hope this blog can help anyone interested in Banff. Worth the trip!